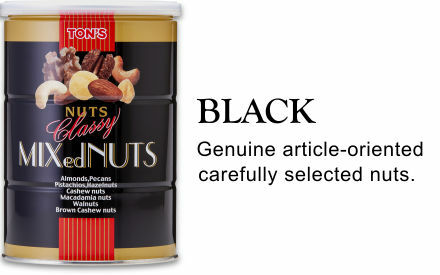 Classy Black CAN uses only high-grade nuts finished with seasoning that brings out the original flavor. 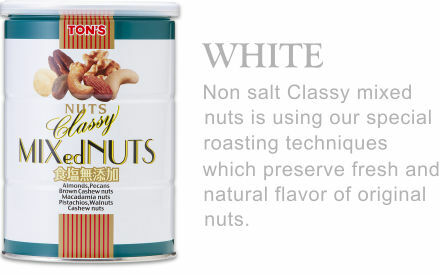 It’s a unsalted version of the canned Classy mixed nuts which variety of nuts is balanced to bring out maximumflavor of Classy White CAN. Classic items that have been loved for many years as TON’S Red CAN since its released in 1981. 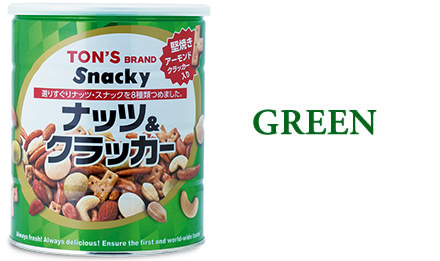 TON’S Green was released to combined by almond-crackers, as a sister of “Snacky” in 1994. 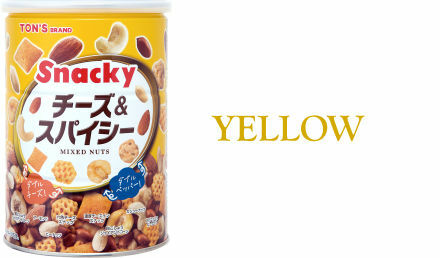 TON’S Yellow CAN combines nuts, peanuts and snacks with cheese & pepper. It is good for snacking. 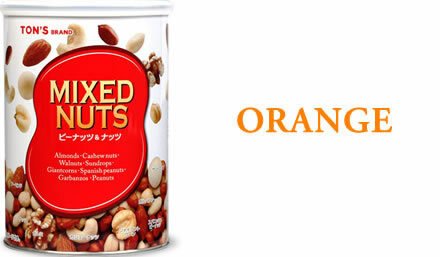 Mixed nuts CAN filled with snacks. Casual and anytime nuts and snacks. 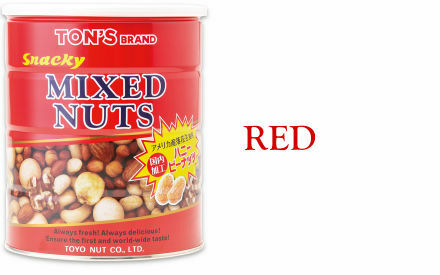 The elegant mix of rich nuts for refined tastes. We combine regular and deeproasted cashews. The long shelf life of these products makes them ideal for export. Please contact us if you would like information about our other export products.